The school’s mission is to provide affordable, quality education and skills training to our pupils with the primary aim of empowering them to lead decent lives and contribute positively to our nation’s development. The school runs a single stream from 07:3-0 to 15:30. Our fees are amongst the lowest in our area, to enable the less privileged and vulnerable in society access to quality education. We have approximately 300 students every year, and historically have achieved pass rates of between 78 and 96%. 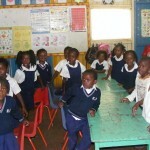 We work hand in hand with the government, the church, Parent Teachers’ Association, the Friends of Makeni and other well wishers to produce an environment conducive for learning, based on a blending of indoor and outdoor activities tailored to suit the needs of pupils at various levels of learning. 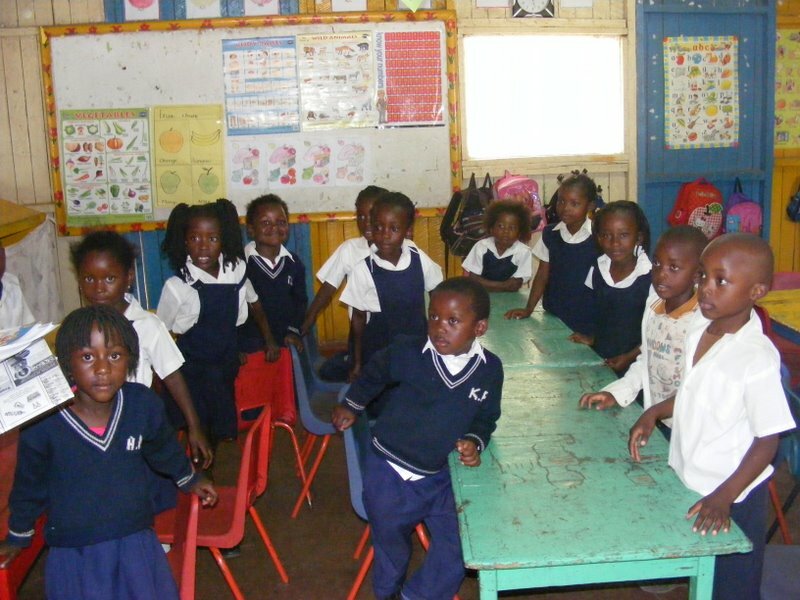 The school provides a nursery and reception class, as well as lower, middle and upper basic school levels, and a high school. Primary school students study mathematics, English, creative and technology studies and Science. In addition to O-Level study Mathematics, English Language, Biology, Chemistry, Physics, Literature in English, Geography, Religious Education, Civic Education and Commerce, high school students participate in hands-on skills programmes encompassing carpentry, agriculture (crop production, pig rearing & poultry), electronics, and food production. We provide an unusually large laboratory that is well stocked with chemicals and equipment for pupils’ use in science and technology subjects. We also offer computer lessons to our pupils at all levels, as we recognise the importance of computer literacy skills. The children benefit from a well-stocked library and enjoy sports, including competitions with local rivals Bayuni. 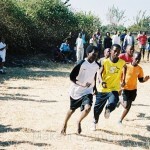 The school also runs a number of clubs and every pupil in the school is required to belong to one of these. Some of these are Jets, Peace, Chongololo, Debate, Art and Anti–drug clubs. 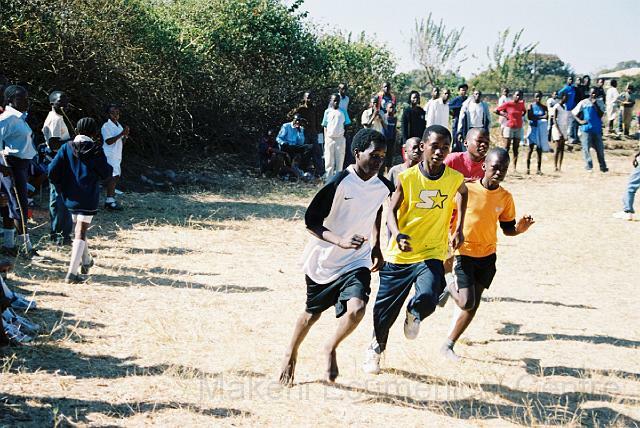 Makeni Centre School has achieved tremendous growth and progress during the last three years. 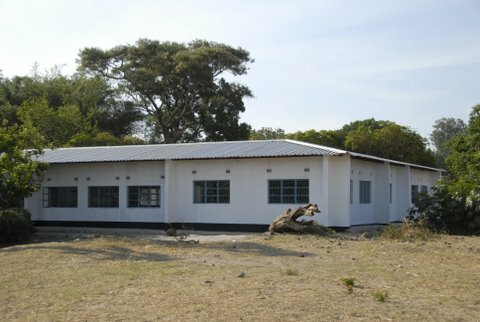 This has come about through the interest and support of the Friends of Makeni (Netherlands), whose financial support enabled the building of three new classrooms to support Grade 11 and Grade 12 teaching, a staff room and Head Teacher’s office. Further gifts of classroom furniture, laboratory equipment and textbooks for all grades were also received. 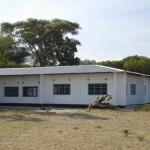 New classrooms were officially opened by the Netherlands ambassador to Zambia, Mr Harry Molennar in November 2009. The primary school has recently enjoyed a partnership with a school in Holland, allowing students to correspond with each other and learn about each other’s cultures. Two Dutch pupils and a teacher paid MEC a visit in 2010. As part of a delegation to Holland, the school sent 4 pupils and a teacher to visit their Dutch partner school. We would like to express our sincere thanks to all our friends in Holland, including Scholengroup Zuid-west and Hanze University, the Kloosterkerk and many other organisations that hosted our pupils. For more information, please ring the main office on 272853. You may also like to read the MEC School Brochure for more details about our programmes of study.